I took off the lid to find a delicious batch of spicy veggie kimchi! The crock worked well and also gave us ideas for design improvements. While this crock holds almost 2 quarts, I think a 1 quart capacity would be helpful. We also have new ideas for how to make the weights. What's next? I'm branching out and will soon be starting a batch of Curried Cauliflower Pickles. I'm totally hooked. I always tell my ceramics students to try out their work. It's an easy way to learn how objects function and also make future improvements. Often I am asked to make items that I normally do not use or in some cases, have not heard of. While I enjoy the challenge and research behind making new items, I feel a little uncomfortable making an untested form and sending it out into the world. I always ask for feedback, but also follow my own advice on testing. 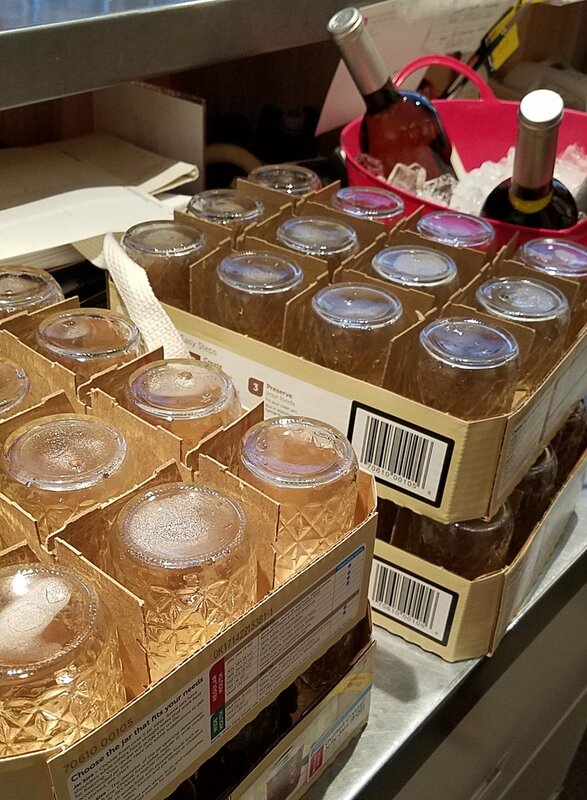 A few years ago we started getting requests for fermenting jars. I happily let Sam take on the research behind this form and he came up with some beautiful pots. Every time someone asks for these jars or we sell one, I get a little nervous. I know nothing about fermented foods. So I did some research and bought a cookbook: Ferment Your Vegetables. The Garlic Keeper also started out as a request. I did a little research, made a cute little jar for a customer then just kept making more. This jar helps garlic stay fresh longer thanks to holes that allow air to circulate. We use a lot of garlic, so when a jar came out of the kiln with a tiny crack in the bottom, I decided to put it to use. Not many things match in our kitchen, but I am also using one of my utensil holders- seen in the background of this photo. Speaking of the kitchen, I looked around and found that I regularly use several of my pots. I made this stovetop spoon rest for my first apartment while in college. The soap dispenser was another form that I wanted to test before selling, and as a bonus the cute stars brighten up the sink area. 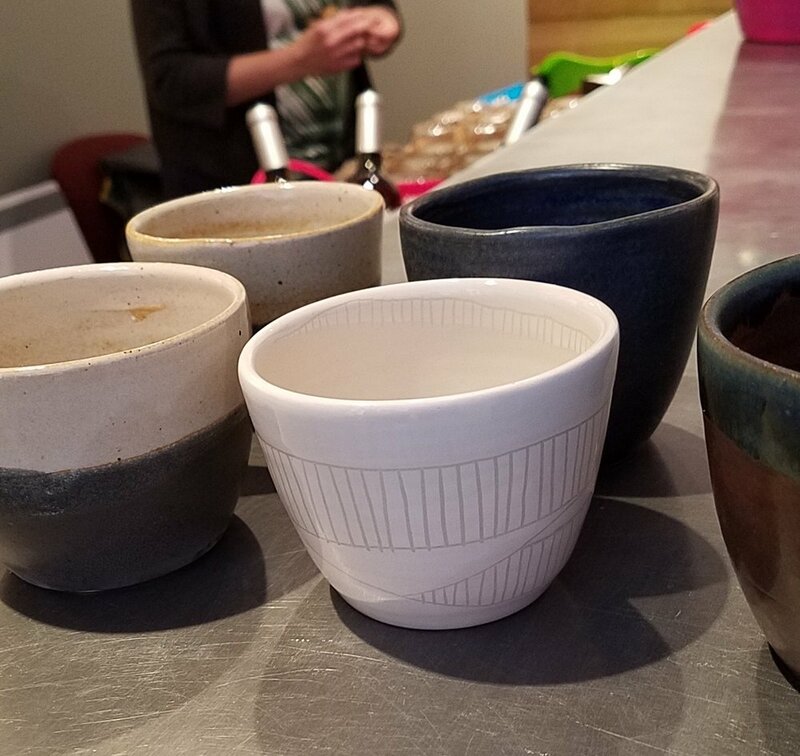 Sam and I both make a lot of little bowls, we keep several in our kitchen for cooking prep as well as serving garnishes and dips. Most of our dishes were made by other potters, but I did recently keep 2 of my favorite form- an 8" salad bowl. These are perfect for so many meals. I learn a lot from using my pots and the work of other potters. Plus it's a great excuse to use beautiful objects!